Prepare for some real magic in this dazzling Disney storybook, which includes stickers and activities. Slip on your 3D glasses to see it all come to life! When a cruel housekeeper banishes the friendly mice who live in the palace, can Cinderella find a way to rescue her tiny friends? 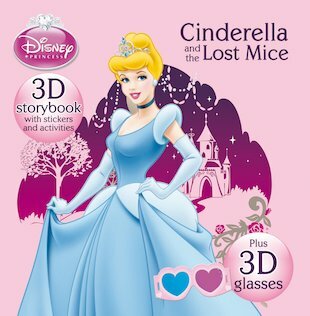 This gorgeous 3D adventure proves that princesses are sweet and kind to everyone – especially animals! So cute!